In this world of technology where meeting and sharing has become demanding, then whisper and secret clone app comes into the picture where sharing and connecting becomes easy. This app has indented in the population over the past few years. Why not crack with same identical apps?? MAADI (Mobile Application Development India) has gone all way long and flawed with similar apps before. We are focusing to become one of the reowned anonymous mobile chat app development service providers in the mobile industry. Our sole aim is to facilitate user with messaging. MAADI is the progressive brand, in offering unique solutions for your clone application development. Our clone app developers go a for an extra mile to deliver you with new futuristic solutions to meet your specific requirements in the competitive world of technology, entertainment and branding. Moreover, we also get you with the promotion of your clone apps when you partner us. What is the time span to required to build anonymous app clone? Generally, the estimated time for the application depends on the needs and wants of your clone application. Approximately, we can estimate 4-5 weeks. What will be the possibilities for anonymous clones? You can add unique features like posting pictures, news, jokes, etc. anonymously to the public. Even you can add your own specifications like a non-unique display name and many more according to your niche etc. How to make money out of Application? You can earn large amount of money with the anonymous through advertisement, Gizmos rewards/ Price/ Points System and in-app purchases like to unlock features, premium stickers etc. 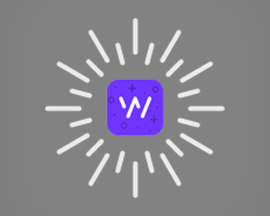 How will the whiper and secret app clone developed by you stand out of crowd? You can concatenate the features of secret and whisper app, it is all up to you the niche you select. Based of that, our talented developers ensure you with the high-quality app and moreover we also get you with the best features to market your app. How to believe your words? Many a times, sign-up process requires to fill in the information. The clone app gets you to post directly from all over the world and also asks the info if you want to create your own post or interact with someone else's. It assigns each user unique with anonymous username which you can change later.